The tenth Closing the Gap report, to be tabled in parliament by Malcolm Turnbull on Monday, shows only three of the seven targets are on track to be met. The targets for early childhood education and Year 12 attainment are on track, and the target to halve child mortality is back on track. But the remaining targets are not on track – for school attendance, mortality, employment, and reading and numeracy. The government will hail this year’s outcome as the most promising result since 2011. Last year, only one target was being met – on improved Year 12 attainment. Opposition Leader Bill Shorten will mark a decade on from then prime minister Kevin Rudd’s national apology by announcing Labor would set up a compensation scheme for survivors of the Stolen Generations in Commonwealth jurisdictions. The scheme would give ex-gratia payments of A$75,000 to living survivors. There would also be a funeral assistance fund with one-off payments of $7,000 to Stolen Generations members to assist with their funerals. The compensation scheme would be accessible to about 150 surviving members of the Stolen Generations in the Northern Territory and any members in the ACT and Jervis Bay. Labor would also establish a $10 million national healing fund “to support healing for the Stolen Generations and their families – in recognition of the inter-generational effects of forced removals”. Shorten will say that recently the number of children removed from their families has rapidly increased. “In 2017, more than 17,000 Aboriginal and Torres Strait Islander children were living in out-of-home care, compared with about 9,000 a decade ago,” he says in a statement with the shadow assistant minister for Indigenous affairs, Patrick Dodson. In response, Labor would convene a national summit on First Nations Children in its first 100 days in office. Shorten’s announcements would cost $17.1 million over the forward estimates. With four of the existing Closing the Gap targets expiring this year – child mortality, school attendance, reading and numeracy, and employment – the Council of Australian Governments is working with Indigenous people to refresh the agenda. Child mortality dropped by one-third between 1998 and 2015. Overall mortality fell 15% from 1998 to 2015. Fewer Indigenous people are dying from chronic conditions. Deaths from circulatory diseases declined by 45% between 1998 and 2016; respiratory disease deaths fell by 24% between 1998 and 2015; kidney disease death rates decreased by 47% from 2006 to 2015. The proportion of Indigenous adults who smoke fell from 55% in 1994 to 45% in 2014-15. Efforts are on track to eliminate trachoma as a public health problem by 2020. The prevalence of active trachoma in Indigenous children aged between five and nine in at-risk communities declined from 14% in 2009 to 4.7% in 2016. The gap in blindness and vision impairment halved between 2008 and 2016. Indigenous people have three times the rate of blindness and vision impairment compared to the non-Indigenous population. In 2008 the figure was six times. Drinking during pregnancy halved between 2008 and 2014-15, and there was an 8% drop in binge drinking among Indigenous people from 2008 and 2015. The government will highlight the success of the Indigenous Procurement Policy. Its target was achieved three years ahead of schedule and it has now passed $1 billion in contracts to Indigenous businesses. Scullion flagged Turnbull would be announcing “new measures to turbo-charge the Indigenous business sector”. Changing the date of Australia Day is the first tiny step for Australia to begin the reckoning with its origins. 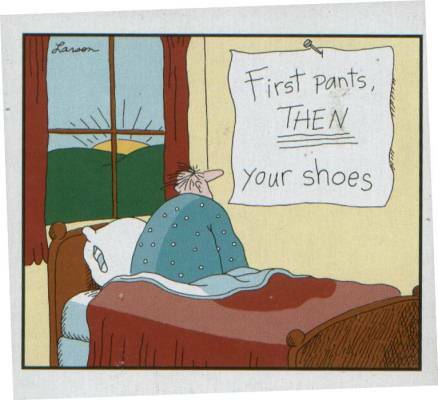 First pants, then your shoes. This stating of an obvious but critical ordering of events has salience for the debate over whether Australia should become a republic. Reconciliation between the Settler and First Nations populations is a self-evident prerequisite for Australia cutting the ties of colonial dependency with Britain to stand on our own. If we can’t work out that we need to complete the peacemaking between Indigenous Australians – the sole occupiers of the Australian continent for upwards of 60,000 years – and those whose ancestors arrived at or post-1788, we are not ready to be a republic. We might be attracted to republican prestige, with its sense of a national coming of age, but we can’t just take the title. Being a republic brings with it the responsibilities of being a grown-up country. Changing the date of Australia Day is the first tiny step for Australia, both as a nation and a society, to begin the reckoning with its origins. The Australian nation-state is founded on the dispossession of the people of the lands the nation-state now occupies, and from which it draws its wealth and identity. It’s as simple as that. No ifs, no buts. Australia Day observed on January 26 celebrates the date on which the British flag was first raised in Sydney Cove in the act of colonisation. I am heartened by the growing calls from so many non-Indigenous people and groups to change the date of Australia Day. But I am also despairing that so many still do not seem to understand why celebrating January 26 is deeply hurtful to Indigenous people. Perhaps, as Henry Reynolds suggests, many non-Indigenous Australians simply do not know what January 26 represents. Maybe. But most do know that the date is connected in some way to Indigenous dispossession. It is also well known what this day represents for Indigenous people: the massacres, the near-genocides, the abduction of women, the forced relocations, and the denial of basic human rights dictated by the euphemistically named Aboriginal Protection Acts – some not fully repealed until the 1970s. Why would Indigenous people choose to celebrate that? Or, as Mark McKenna writes, for many, Australia Day is constructed as cut loose from history. The past is the past, it is argued, so why can’t we all just celebrate what’s good about Australia on January 26? Yes, colonisation is a fact that can’t be undone. Nobody knows this better than Indigenous people. But celebrating Australia Day on that date is the opposite of a present/future focus. January 26 was selected purposefully to commemorate that past by declaring the initial act of colonisation as the most important event in the Australian historical calendar. Why does non-Indigenous Australia choose to celebrate that? That the political proponents of keeping the date as it is know what January 26 is actually celebrating is clear in their deployment of noble sentiment as obfuscating defence. Prime Minister Malcom Turnbull, in a 2017 speech on the topic, is fairly typical in this regard. Castigating the Yarra Council over its decision to stop referring to January 26 as Australia Day, Turnbull argued Australia Day is the day on which we recognise and honour our First Australians and our newest migrants – and to change the date would be to turn our back on Australian values. He has made similar remarks in recent days. I don’t dispute Turnbull’s sentiments. What he describes is what Australia Day should be. But what he describes is not what it is now. Dressing up the pre-eminent day of commemoration in the Australian calendar as something other than this, as somehow about Australian values or a day that all Australians can take pride in, or – even as Turnbull asserts – a day when we recognise First Australians and our history, is just a dishonest diversion from the actuality. We are convincing no-one, not even ourselves, that we are doing anything else on January 26 but celebrating colonisation and the dispossession of Indigenous people. If we aren’t celebrating the colonisation of Australia, then there should be no problem in changing the date. If we are, then be honest about it without resorting to self-deceptions. Again, on January 26 this year, I, along with many other Indigenous and non-Indigenous people, will march down Elizabeth Street to the Tasmanian parliament lawns for rousing speeches and emotional protest. In fact once the date is changed – as it inevitably will be – I will miss the event’s camaraderie. It has become a January ritual. But imagine what Australia Day could be. What if Australia Day was actually those things Turnbull says it is. What if Australia Day was a genuine celebration of all that’s good and unique about Australia? What if Australia Day celebrated our 60,000 years or so of human history as something that belongs to all of us – Indigenous and non-Indigenous – and that we can and should all take pride in? What if Australia Day was a day on which we came together rather than celebrating the dispossession of one by the other? Now that is an Australia Day worth celebrating. But that day has not yet come. Instead, our leaders resolutely insist that this is the date most appropriate to hold our national day of celebration – and sanction those who disagree. For Indigenous people, this tenacity can only be read as callous disregard. To do so in the shadow of overt refusal of the efforts of Indigenous people to advance reconciliation through the Uluru Statement from the Heart reinforces the political message of callousness. It also demonstrates a national immaturity. A developed society reconciles its past with its present, resolving what needs to be resolved, settling what needs to be settled. For Australia, the result could be a new national narrative: one we wouldn’t have to resort to duplicity to celebrate, one more befitting an aspiring republic. Drawing from the wisdom of the Far Side cartoon: Australia, first change the date to begin a just settling, then contemplate becoming a republic. Indigenous people feel powerless in their own country, as articulated in the Uluru Statement from the Heart.